The collaboration with the British Museum is made up of three stunning designs. Paintings from India is inspired by several magnificent paintings from India in the museum’s collection. Merian’s Drawings of Surinam Insects & Birds inspired by a number of drawings in an album by the German artist Maria Sibylla Merian and her two daughters. Japanese Scrolls completes the collection, this subtle but intriguing piece takes inspiration from the Museum’s hand painted Japanese Scrolls. 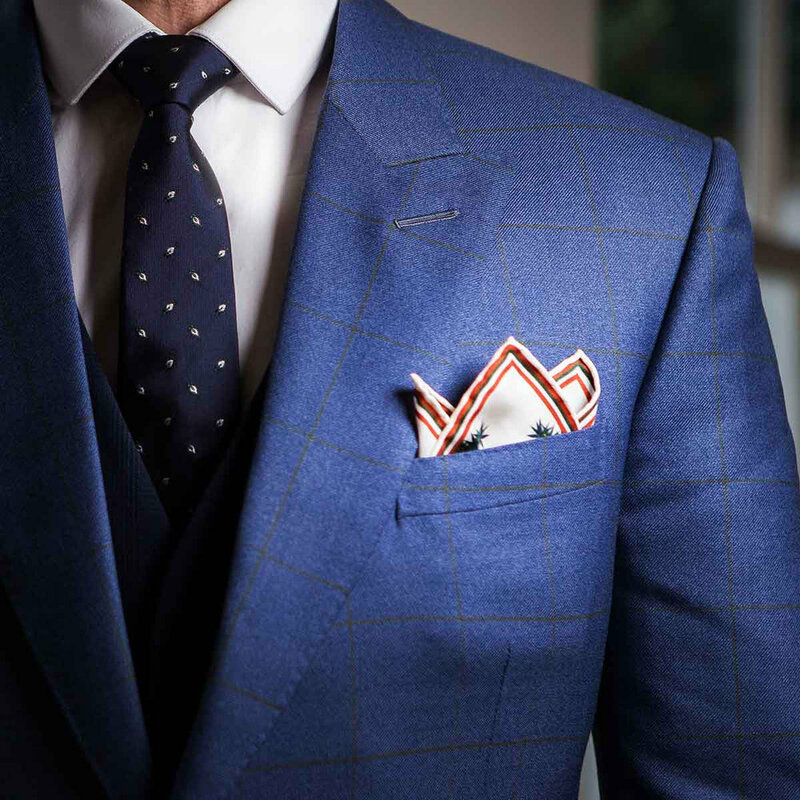 Rampley and Co was born out of a passion to create elegant men's accessories through innovative design, the best available fabrics and quality craftsmanship. We felt that by working with exquisite materials such as Harris Tweed or collaborating with partners such at the National Gallery, the British Museum and the V&A we could create men’s fashion accessories that were truly interesting and unique. Our men’s silk pocket squares are printed in a factory with a rich history in Macclesfield, an area famous for English textiles for over 300 years, as we look to blend new ideas with the historical roots of British fashion. For more information turn to their website. 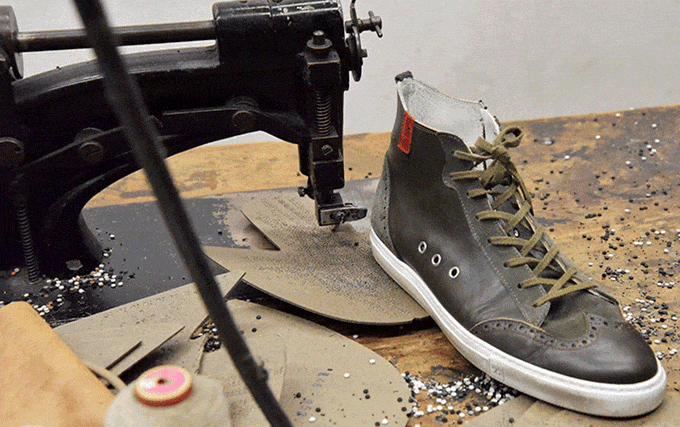 Flavio Agosti, the co-founder of RUBIROSA just announced the launch of the next generation of gentlemen’s sneakers. ; the most recent invention and creativity in men‘s shoes designed by hand using top-quality leather and maintaining the exclusive standards of Italian craftsmanship. It is the leading smart and creative men‘s shoe that helps the wearer relax and move better either at home or on-the-go by combining comfort and high quality in line with the ability to correctly secure the shoe with a simple well knitted showlace. RUBIROSA is a Swiss based private firm established with the primary aim of ensuring that its esteemed customers get high quality and innovative products at great prices leveraging on years of experience in craftmanship, quality control and production management. 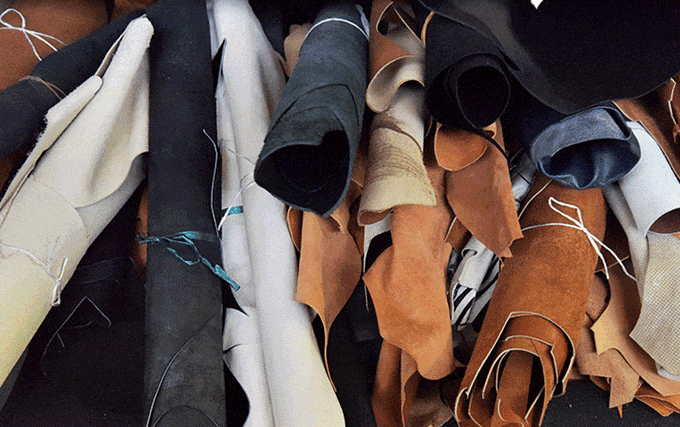 The firm is focused on designing fascinating and innovative gentlemen’s shoes using the highest quality of leather materials as well as the experience of centuries of traditional Italian craftmanship. Through a perfect blend of expertise, ancient Italian traditional craftsmanship, sophisticated leather materials and cutting edge technology, RUBIROSA has earned a standing reputation in the design and delivery of the most captivating and fashionable men’s shoes leading to the satisfaction of its valued customers as well as positive feedback and referral. RUBIROSA products are born out of the philosophy of the legendary Latin American gentleman Porfirio Rubirosa; a fashion icon who lived between 1909 and 1965. RUBIROSA has announced its crowdfunding campaign on Kickstarter to raise funds for the production of the next generation of gentlemen’s sneakers and to finalizise the new packaging components so that the sneakers can arrive in homes across the world as soon as possible. Kickstarter; is an enormous global community built around creativity and creative projects established with the mission of bringing creative projects to life. It is the ideal platform to launch the next generation of gentlemen’s sneakers because RUBIROSA has an attractive and creative product which offers an exquisite way of bringing comfort and relaxation to the users. Flavio Agosti says, “We believe people are going to fall in love with our new generation of gentlemen’s sneakers and the story of the brand. Our unique and high quality handcrafted gentlemen’s sneakers are made from the finest leather materials using the traditional standards of Italian craftmanship in the most experieced workshop in Italy. It delivers high-performance, unrivalled comfort and durable wearer experience to the users“. The high-quality gentlemen’s sneakers are aimed at modern cosmopolitans of every age who value class and aesthetics. Men who have certain aspirations for themselves and those around them. Like the style icon Rubirosa, this young label represents an outlook on life: embracing beautiful things, fashion, style, pleasure, personality, authenticity and creativity. The unmistakable character of the handcrafted shoes is revealed primarily in its day-to-day wear and the quality of the materials shines through in their unbeatable wearer comfort. Projecting his dreams of conquering space onto a writing instrument was the original idea of the founder of MB&F, Maximilian Büsser. The creative and technical forces within Caran d'Ache enthusiastically embraced this new adventure, which proved to be both thrilling and complex. The result is the Astrograph writing instrument, product of the overflowing creativity of its designers. An artistic union that took root among the common values held dear by both Maisons: limitless creativity, respect for traditions, impeccable quality and Swiss Made. The Astrograph adventure began four years earlier, when Maximilian Büsser revealed his idea to Caran d'Ache's creative teams: to let his childhood dreams of travelling in space unfold in a writing instrument. His meeting with Caran d'Ache paved the way for this idea, as poetic as it was as technically challenging, to become a reality. Explorers at heart, Caran d'Ache's teams drew upon their imagination and technical ingenuity to construct an actual rocket – in reality an exceptional writing instrument that is extremely comfortable in the hand. Astrograph reminds us that we all hide a childhood dream in our heart. Developing Astrograph was truly challenging. Four years of gestation and discussions were necessary to perfect the technical concept. The result of this collaboration is the futuristically designed body of an instrument that comprises a multitude of innovative features among a total of 99 components: a "detent" system of vertical stabilisation, launch-pad box, magnetic figurine... It took a whole year to develop the final model. 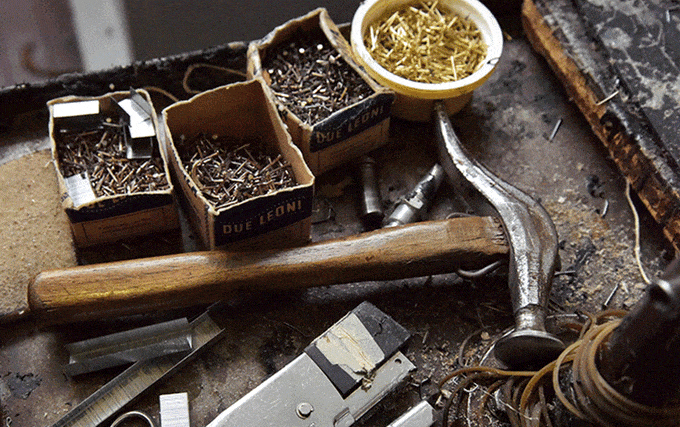 It takes more than 500 manual operations to produce each writing instrument, genuine proof of an adventure. The innovative design of the Astrograph, together with the many challenges that were overcome throughout the development of each of its component parts, have led to the creation of the most complex writing instrument ever made in the Caran d’Ache workshops. The slim, curved body of the Astrograph, is immediately reminiscent of the outline of a space rocket. Its fluid design is accentuated by a chequered pattern, enhanced with anthracite lacquer – a particularly delicate process carried out by craftsmen and a speciality of Caran d’Ache. The proportions have been designed to ensure that the whole body is perfectly balanced so that it rests perfectly in the hand. The structure is articulated by an ingenious mechanism inspired by penknives: a miniature lever – the entry door to the rocket, concealed in the ring of the pen – activates the simultaneous and symmetrical lowering of three stabiliser legs. These, just like the miniature ladder than runs alongside the "thruster engines" have parts that are sandblasted, satin-finished and rhodium-plated. Once the stabiliser legs have been deployed, it is possible to stand Astrograph up, vertically, ready for take-off. The Astrograph rocket also comes with a miniature figurine of an astronaut. Rhodium-plated and magnetised, it will attach to any part of the body of the instrument, ready to "climb on board". Just for fun, a presentation box in the form of a launch pad has been specially devised for Astrograph. This writing instrument may be placed in a vertical position, pointing towards the stars: 5, 4, 3, 2, 1… We have lift-off! Astrograph is available in three finishes: high-gloss rhodium, sandblasted matt rhodium or anthracite ruthenium. These limited editions are aimed at those who love unusual objets d’art – and at those who have managed to keep hold of an essential part of their childhood dreams. Heir to more than a century's worth of valuable know-how, the Maison Caran d’Ache has, since its foundation in 1915, been cultivating the spirit of elegance and the particular care with which it always devotes to the art of fine writing. Based on respect for Swiss manufacturing traditions, on impeccable quality and on perfect technical mastery, the Maison Caran d’Ache is continuing its commitment to innovation and limitless creativity. Its exceptional writing instruments, true masterpieces produced in limited editions, are testimony to the union between technical sophistication, absolute reliability and artistic virtuosity. MB&F – Maximilian Büsser & Friends – has managed to carve out a pioneering path in the world of fine Swiss watchmaking, while still maintaining respect for its traditions. The founder and his team of friends, who are all lovers of mechanical art and avant-garde design, create "time machines", kinetic sculptures or mini robots that recall the world of their childhood: superheroes that come out of science fiction, famous strip cartoons and the legends of automobile and aerospace design. Armills by Christophe & Co an universal symbol of victory for extraordinary individuals. British Jewellery brand Christophe & Co. founded by Aleksandr Bernhard, teamed up with legendary design firm Pininfarina to create the smart bracelet Armill, which represents an entirely new category in ultra-high end luxury jewellery and wearable technology. GnL Footwear presents it's new collection with their patented Glide'n Lock sole providing 360° cushioning in all directions. The newest suglasses frames: from acetate to wood, from metal to snake.